On the same day that Major League Soccer set the deadline for applying for a 2011 expansion franchise at October 15, 2008 the Portland Timbers announced they will file for one of the two spots to be awarded for early next decade. Merritt Paulson and the Timbers join St. Louis Soccer United and Vancouver Whitecaps as the other groups to make their intentions official. Read short statements here and here. St. Louis has an approved stadium plan but has yet to announce a final owner to put their bid 'over the top.' Vancouver have a temporary stadium plan in a renovated BC Place and big pocket owners in software mogul Greg Kerfoot, former Yahoo! President Jeff Mallet, and NBA star Steve Nash. Merritt Paulson is the sole announced figure in Portland so far. Plans must now be put on the fast track to release further details as soon as possible. 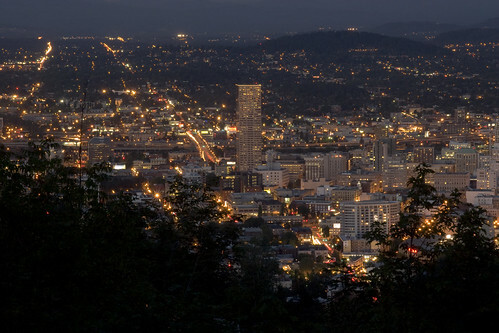 Portland's bid is expected to contain a request for public funds to remodel PGE Park. Paulson has been lining up political support for his public financing requests behind the scenes for the last several months. The Rose City is notorious as 'anti-public funding' when it comes to private corporations such as professional sports clubs. Late yesterday Ottawa made a short statement saying they also intend to apply for the next round of expansion.